Karina’s livelihood is fitness, and yet she still has days where she needs an extra boost to get into the gym and crush her workout. And that is where IdealLean Pre-Workout comes into play. 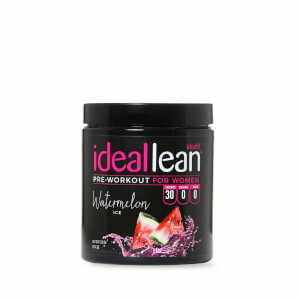 IdealLean Pre-Workout will give you extra energy and focus to help take your training to a whole new level. Karina’s Fit Model Fitness Challenge will not only help you to get the fit body you have dreamed of, but will also help you to feel more comfortable in your own skin. Her challenge focuses on exercises that torch fat and build lean muscle, meal plans that are simple and yummy, and support to keep you motivated and accountable. When you work out for the endorphins, and because of the way it makes you feel, instead of always focusing on the aesthetics, it will become a consistent part of your life, and you too can fall in love with fitness. Karina will help you find fit model confidence in 15 days with her free 15 Day Fit Model Fitness Challenge. Just like IdealFit, Karina is committed to helping women reach their ideal. And because women and men have different nutritional needs Karina has created her program with women’s goals in mind. Karina is dedicated to helping as many women as possible learn how to create healthy habits that they will be able to stick with for life. She teaches women how to find confidence in themselves and their abilities. 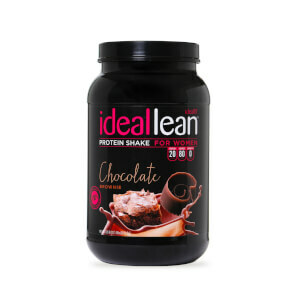 She shows how Incorporating IdealLean products into a healthy lifestyle can help speed up the results of all of their hard work and help them reach their ideal. You can help others too.